Whether you're just starting out on the running journey or you're well on your way to becoming a member of the 100 Marathon Club, tracking your runs is a brilliant motivator and can improve performance as well. But choosing the best GPS running watch for you can be just as tricky as picking out the perfect pair of running shoes. It's a decision that's not getting any easier, either. Back in the day it would always have been a Garmin, Polar or a simple Casio stopwatch, but now there are now countless brands and hundreds of products to choose from. 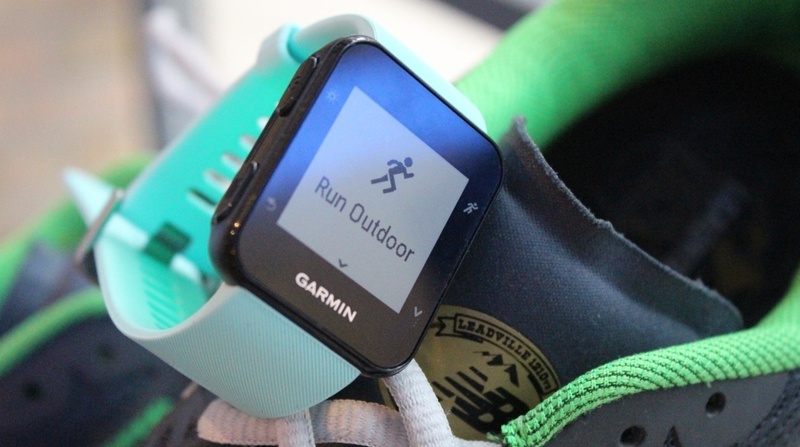 We've put together this guide to help you find that perfect running watch partner. Got any other questions? Let us know in the comments below. Why buy a running watch? It might seem like an odd question to ask in a running watch buying guide but this is actually really important. If you own a smartphone and are willing to carry it on a run, then there are loads of great running apps that'll give you 90% of the features you get on most GPS running watches for free, or for a budget-friendly subscription fee. A lot of these apps like Strava, Nike+ and Runkeeper also offer rich community features that you might not get with your running watch. So it's really worth thinking about that before you rush out and spend $300. However, what these apps don't do so well is put your vital real-time tracking information where you can see it. Granted they may offer over-the-earphone updates on distance, splits and the like but that's not as useful as having this information available at a glance on your wrist. What's more, in our experience, running watches are more reliable, more accurate and put more features at your fingertips. Let's talk money first. Running watches range from $50 to $600 and some times even more. It's loosely the case that the more you spend, the more features you get, but not all of those extra features might be necessary for your running needs. An entry level watch like the Garmin Forerunner 35 will set you back $199.99, but if you're happy to go for something older like the Garmin Forerunner 25 you could pay just $139.99 and comes with all the basics you need to track a run, including GPS, pace, distance and calories. At the other end of the spectrum you've got something like the Suunto Spartan Sport Wrist HR that'll lighten your wallet by $499, has everything from a compass to vertical gain and offers tracking across a whole range of sports. Sub-$100: If you're willing to shop around you can pick up something like the Polar M200, which is a great entry level smartwatch and includes GPS and wrist based heart rate monitoring. The first generation TomTom Runner watches are also a good shout although lack the great heart rate tracking skills of newer Spark/Runner watches. In this bracket you'll also get a lot of fitness trackers that claim to have running smarts. Lots of these will count steps and turn them into a estimated distance covered, but largely they're not great tools for running. From $150 to $300 Entry to mid-level watches like the TomTom Spark 3, Fitbit Surge and the Polar M400 start to come with heart rate tracking, built-in accelerometers to keep tabs on indoor runs and enhanced training features such as heart rate zone training and interval session programmes. They'll be supported by more extensive apps and online tools and largely let you leave your smartphone at home. $300+: Once you go beyond $300 you can start to expect a lot more detail, such as real time running coaching with insights including vertical oscillation and VO2 Max design to help improve your form. We're talking the likes of the Fenix 5 and the Forerunner 935. At this end you'd also expect full indoor-outdoor tracking, post-run smarts like tips on your training load and recommended recovery time. It's worth noting that at $250+ you're also in smartwatch territory with devices like the Moto 360 Sport, Polar M600 and the Apple Watch Series 2 all offering some run tracking either through native apps or third-party apps like you get on your smartphone. If you're a serious runner looking for serious insights, then these are probably not for you – yet. Although they could be a good option for occasional runners considering a smartwatch for whom run tracking is a bonus feature. So before you go any further, there's a bit of soul searching to be done. Rather than thinking about where you are now as a runner, try to figure out where you'll be in 12 months time. You might just be starting out but if your running ambitions are to constantly improve, pushing longer distances and taking on bigger running challenges, then you might want to opt for something a bit more capable. In this case a mid-range running watch that you can grow into is a good bet. If you're only ever going to run a few times a week for fun but want to record a few key stats, then stick with one of the capable lower-end devices. Equally, if one day you hope to be racing Kilian Jornet (look him up, you won't believe what this man can do) up a mountain then you'll want to invest in a solid adventure watch that can go on that journey with you. To help you narrow down your search, here's a list of questions to ask. Do you want to track your distance? We'll presume this is a big fat yes. There are a few ways watches do this. There's built-in GPS, piggybacking your phone's GPS, using a built-in accelerometer or a shoe pod with accelerometer. These latter choices are pretty outdated now and means you'd have to run encumbered by a phone, so we'd argue that built-in GPS is a must have. Also consider watches that have built-in GPS plus accelerometers that can be used to smooth out any gaps in GPS data. If you're serious about training then heart rate monitoring can be very useful. You get two choices here, built in optical heart rate (OHR) or a chest strap. The latter tends to be more accurate but if you don't like the chest strap for comfort reasons then go for OHR – just don't expect it to be 100% spot on. It should be reasonably accurate for steady runs, but interval training or weights it's a big no-no. Do you run a lot indoors on treadmills? If so, and you want your data in one place, then go for a watch with a built-in accelerometer and indoor run option. Do you want help with training plans? Most brands offer off-the-shelf expert training plans for 5k, 10k, half and full marathons. If this is important then check out the partner web tools and smartphone apps to make sure they do. Garmin, Polar and Suunto arguably offer the most comprehensive. Will it let me create interval training sessions? Interval sessions are an excellent way to build fitness and speed. Devices like the Garmin Forerunner 235 or TomTom Spark 3 will let you create infinitely customisable interval sessions, combining things like pace, distance, heart rate and duration. To throw in a leftfield option, devices like the Moov Now are perfect for interval training, although best used in conjunction with a running watch. You start to get into a bit more serious nitty gritty here, but increasingly the higher end running watches are offering extra insights on running dynamics. You can get real time feedback on cadence, or how often your feet strike the floor in a minute and vertical oscillation, all of which is aimed to help guide you to a more efficient running form and prevent injury. Does it offer heart rate zone training? While some devices will offer heart rate tracking, not all of them provide real-time heart rate zone training. The TomTom Spark 3 and the Polar V800 all offer this, letting you see when you're working in different zones from fat burn to aerobic capacity. The awkward truth about most running watches is that while they free you from running with your smartphone in theory, most still need to take a phone along to provide motivational beats. There is salvation, however. While few manufacturers have added storage to their watches for music, the TomTom Spark 3 and smartwatches do offer this feature. Do your want advice on recovery? Again, this one's probably more important for the serious runners but you can now get watches that offer post-run advice on your training load and a recommendation of how long you should rest before you head out again. Garmin is the biggest exponent of recovery stats, with the Forerunner 935 and Fenix 5 the pick of the bunch. If you plan to analyse your data on a regular basis for marginal gains, then it's worth downloading the app and the web tools before you splash out. While every running watch sports its own platform, the ability to pair with services like the excellent Strava are important. Most brands now allow you to sync with Strava, with Garmin and TomTom also allowing automatic uploads to a number of services. How long will you be running for on your longest runs? Ah yes, the battery life question. Most watches will last a five-hour marathon but only a handful will handle a 13-hour ultra without back-up power packs. Check out our guide to the best watches for endurance runners for specific choices.